Jose L. Chaparro, M.A., C.R.C., Inc. I graduated in 1980 from the California State University, Fresno Rehabilitation Counseling program with a Master of Arts degree. My rehabilitation counseling career began April 1, 1981. I have been in private practice from 1991 to 1994 and from April 1, 1998 to present. Most of my rehabilitation counseling since 1985 has been with industrially injured workers served by the State of California and the U.S. Department of Labor, as well as veterans with disabilities referred by the Veterans' Administration . Additionally, I have done learning disability assessments, management in a work activity program and have served as adjunct faculty with the California State University, Fresno School of Education and Human Development, teaching graduate classes in Career Development Theory and Professional Issues in Rehabilitation Counseling. I have been on contract with the Social Security Administration Office of Disability Adjudication and Review since 1997, providing vocational expert testimony. I am a past board member/Commissioner with the Commission on Rehabilitation Counselor Certification (CRCC) and served from 1993 to 1998. While with CRCC, I was chair and co-chair of the Standards and Credentials Committee, which was instrumental in recommending significant important changes and refinements to the professional certification of rehabilitation counselors. I was an appointee of CRCC to the Council on Rehabilitation Education, Inc. (CORE), serving as a member of the Commission on Standards and Accreditation from 1995 to 1998. 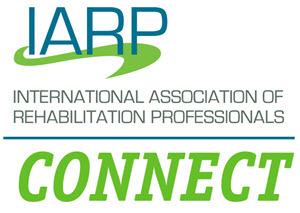 As Commission members, we served as site visitors and reviewers of new and continuing accreditation applications by Master’s level rehabilitation counseling educational programs throughout the United States and Puerto Rico. I have continued to serve on several site visits on behalf of CORE since 1997. I have also served on several boards in vocational rehabilitation, disability issues, mediation and a service club at the state and local levels since 1987.